When will be Second Jen next episode air date? Is Second Jen renewed or cancelled? Where to countdown Second Jen air dates? Is Second Jen worth watching? 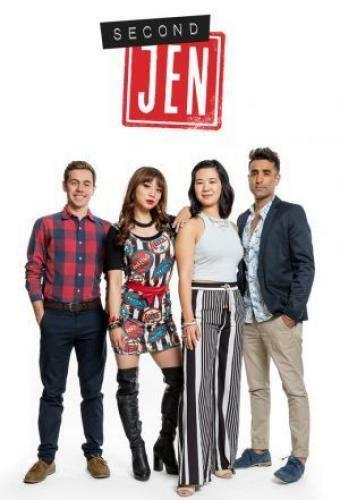 Second Jen is a ground-breaking scripted series about two second generation Asian millennials. Caught between cultures and generations, Mo and Jen are two best friends who move into their own apartment to prove to their immigrant families, and themselves, they can make it on their own. They experience all of life's firsts - first apartment, first job, and first love. Jen starts a new job where she's forced to wear a skimpy uniform and deal with touchy customers; Mo attends a sexual harassment seminar. Things get complicated as straight-laced Jen tries for once to be bad, and prickly Mo tries to be good. Mo volunteers at a church fundraiser, while Jen walks on the wild side. Second Jen next episode air date provides TVMaze for you. EpisoDate.com is your TV show guide to Countdown Second Jen Episode Air Dates and to stay in touch with Second Jen next episode Air Date and your others favorite TV Shows. Add the shows you like to a "Watchlist" and let the site take it from there.